The exclusive combination of full-grain leather with metal elements enhances the sober and elegant design of the Epico chairs. The support frame of diecast aluminium, designed to guarantee a proper posture, allows an independent tilting of the backrest. The Epico programme is mounted on a fixed, swing or tilting base. 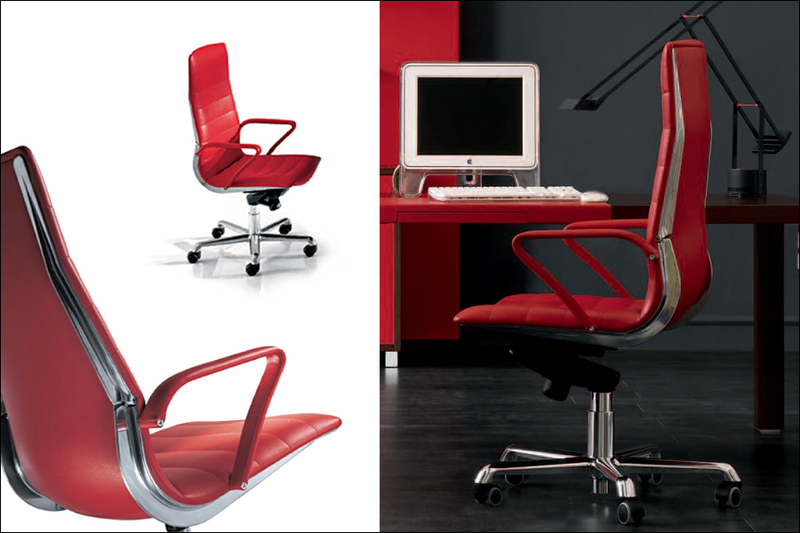 The base and the frame are made of shiny or painted aluminium, while the upholstery is made with full-grain leather. The Epico series is expressed in a wide range of solutions. To offer the highest level of comfort, along with the model with the lean and essential profile, a version with paddedcushion is available.